17th Annual Crawfish Boil – Get Pinched in Smyrna! Doors open at 11 AM on Saturday and 12 PM on Sunday. 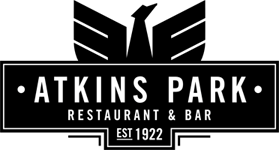 Atkins Park Partner & Zac Brown’s Executive Chef Rusty Hamlin home to boil your crawfish! Crawfish & Cajuns shipped directly from New Orleans! Come and join us for two days of FOOD, FUN and LIVE MUSIC!